Vybz Kartel murder trial corrupt juror pleads not guilty “I didn’t do it! 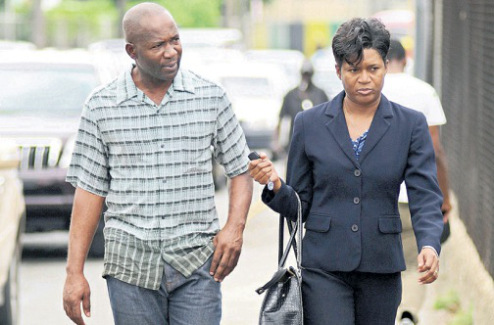 The juror accused of trying to bribe the foreman of the jury panel in the Vybz Kartel murder trial, pleaded not guilty. Livingston Cain is charged with 5 counts of trying to corrupt the course of justice, as well as 1 count of planning to pervert the course of justice, the Jamaica Observer reports. He is accused of offering the jury foreman a total of $500,000 for a not-guilty verdict. Also, the Jamaica Observer reports that Cain told another juror that he would “take care of him,” if he returned a not-guilty verdict as well. Other jurors are believed to have been approached. When asked about the case, Dian Watson, Cain’s attorney said, “We can’t reveal [what the defence] is at this time but he’s maintaining his innocence of course,” the Jamaica Observer continued. Cain’s $750,000 bail was extended until April 24. By then, the prosecution is expected to provide the defence with transcript of a recording of an in-chambers meeting, where the Livingston Cain tried bribing the jurors. The prosecution should also turn over a cellphone used by the foreman of the jury, to record her conversation with Cain. These requests were made by Watson, who says the defence would rather have it’s own experts carry out tests. It is reported that Cain was the only juror to vote ‘not guilty’ in the conviction of Vybz Kartel, Shaw ‘Shawn Storm’ Campbell, Andre St John, and Kahira Jones.